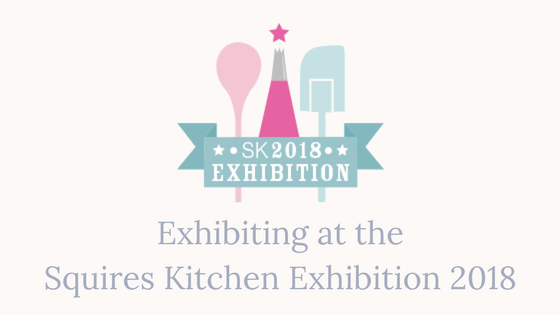 I was so delighted to be asked by the fabulous team at Squires Kitchen to exhibit at this year's exhibition in Farnham, Surrey. The exhibition takes place every year during March and it's a great event. I designed 4 new cakes for the show displaying in the Wedding Cake Showroom, as pictured below. My cakes on display in the Wedding Cake Showroom. I also teamed up with some of my industry friends to collaborate on creating a wedding cake fit for royalty within the 2 and a half days we were there. Here's the finished masterpiece! These are the super-talented people involved in this masterpiece of a cake: Simply Alpa, Sylvia's Kitchen, Alan Dunn Sugarcraft, Petya Shmarova, Design Sucre, Scrum Diddly, Immaculate Confections, Wedding Cakes by Design, Tees Bakery, Hayley Elizabeth Cake Design, Willoughbys Cakes, Chelsea Buns Cakery, Emily Hankins Cakes, and of course, me! Me with my cake buddies working on the Royal Wedding Cake collaboration! It was a fabulous cake weekend and super to have the time to catch up properly with industry friends. Looking forward to next year already!